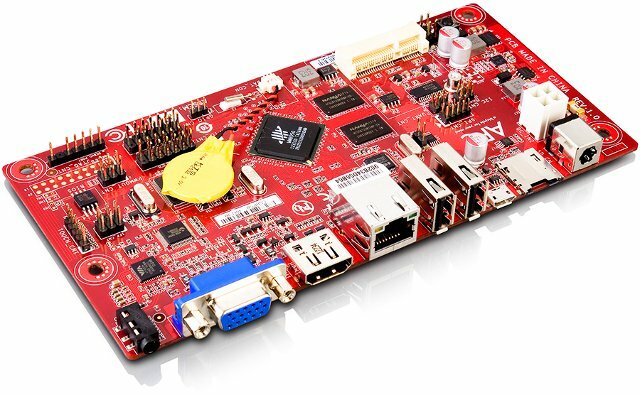 Dimensions (Board) – 170 x 85mm (W x H), Neo-ITX Standard. Documentation, mechanical files, firmware, as well as bootloader, and kernel source codes are available at http://apc.io/library. The ARM11 to Cortex A9 means it will be able to run Ubuntu and other variants (ALIP, lubuntu…), although performance will be limited by the lowly 512 MB of system memory. APC Rock can be purchased now for US$79, and APC Paper is expected to begin shipping in March of 2013 for US$99.